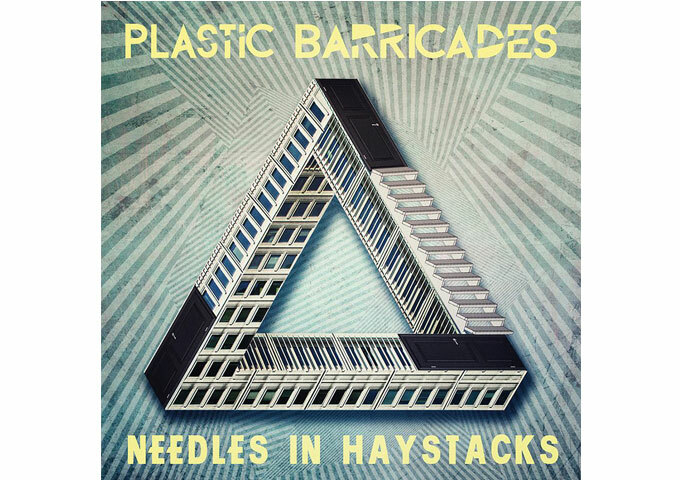 The new single “Needles in Haystacks”, by Plastic Barricades had its worldwide premier on the 13th of July! The band’s third and final single from their upcoming album is already on almost 300 stations in the UK, Europe, USA, Canada and Japan. 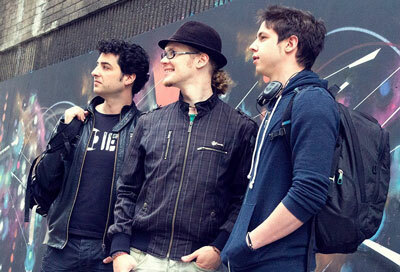 Frazer Webster recorded the drums with Tyson Gettel behind the desk and Stephan Kain assisting. Bass was done by Daniele Borgato at his home studio. Dan Kert recorded the guitars, keyboards and vocals at Shed Studio. Australian, Julia Lamb, played additional lead guitar. I’ve been with Plastic Barricades ever since I first heard “Tree of Ideas” in 2013, and am happy to say that they just keep getting better. I loved “Shine” and then nearly went wild when “Mastermind” came out. But “Needles in Haystacks” takes it to a new level. Rarely do you find artists willing to devote time to making songs that simultaneously are lyrically beautiful and musically textured. We saw that with their previous releases, and now Plastic Barricades has proven how consistent they are by delivering another round of catchy, layered music. Few bands manage so expertly to toe the line between the intelligible and the poppy, uniting both the indie and mainstream listener. Unlike lesser indie bands that become obnoxious over time due to an eccentricity overload. Pop songwriting has always been a breeze for Plastic Barricades. With each record it seems that Plastic Barricades expands their unique sound ever so slightly. The jangly guitars and spacey beats awash with melody and cool mellowness – albeit with a fresh coat of paint and some challenging instrumentation – is all here on “Needles in Haystacks”. Complete with a heartbeat bass and drum rhythm, as well as Dan Kert’s gentle crooning, “Needles in Haystacks” comes together to create an upbeat, yet relaxing and atmospheric track. The guitars are so hypnotic but weightless and natural that you can’t help being pulled in immediately. The pacing of the song is also flawless, allowing for an accessible and attentive listening experience. The great thing about Plastic Barricades is that each of their songs is so intricately structured that it becomes a living thing, and its listening experience grows and matures as you do. Current fans will be more than pleased and newcomers will be able to easily sink into the lush sounds and vibrant melody of “Needles in Haystacks”. Stuart Cooney, who is working on the rest of the album, has done the mixing on “Needles in Haystacks”, while Andy “Hippy” Baldwin mastered the track at Metropolis Studios in West London. The person better known as the “fourth Barricade”, Elina Pasok, takes care of all the artwork. Americana-Folk singer-songwriter Douglas Haines, has brought the power of the song back!